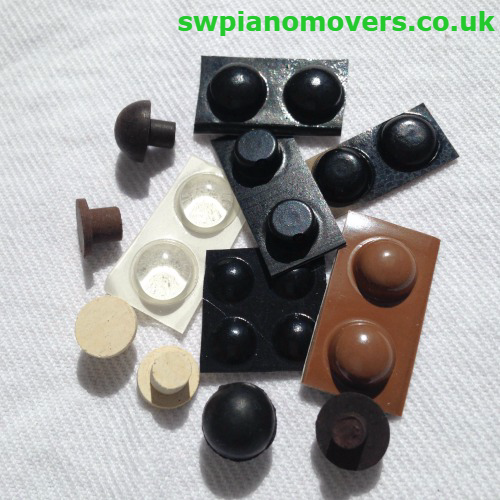 We can supply a wide range of commonly used piano accessories which can be purchased through our ebay listings, or delivered by us for fitting. 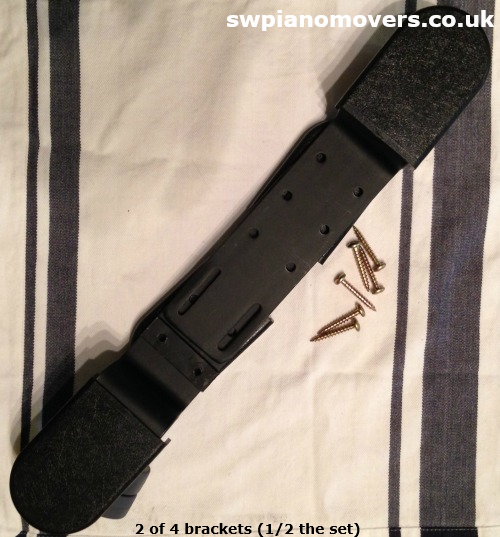 If we are delivering a piano for you, we can bring the parts with us. These items include assorted hinge pins, rubber bump stops, pads and tacks, and anti UV and static cleaning products. 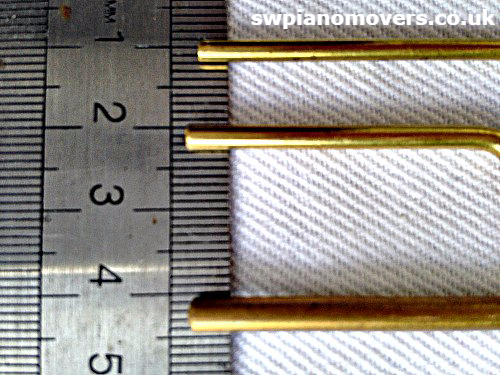 We can source many spare parts and piano accessories. 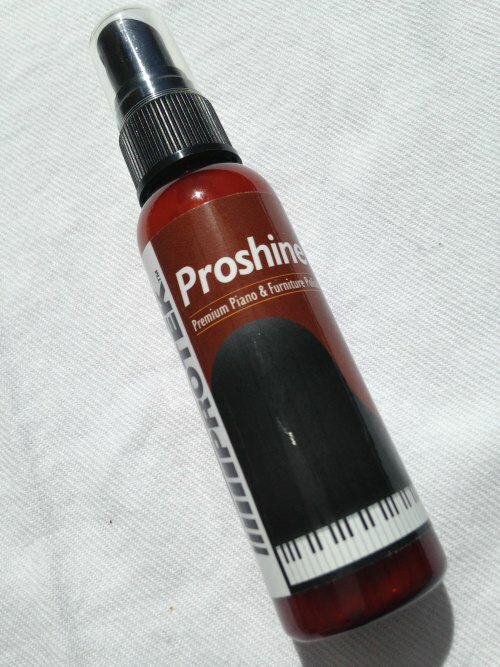 Please enquire for prices using the form below, as variations may apply to your piano, and fitting may be needed. 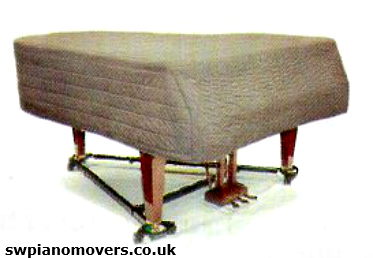 Safely move upright pianos around public halls, schools, churchs or even room to room at home. The brackets consist of a set of 4 double roller rubberised or nylon castors. 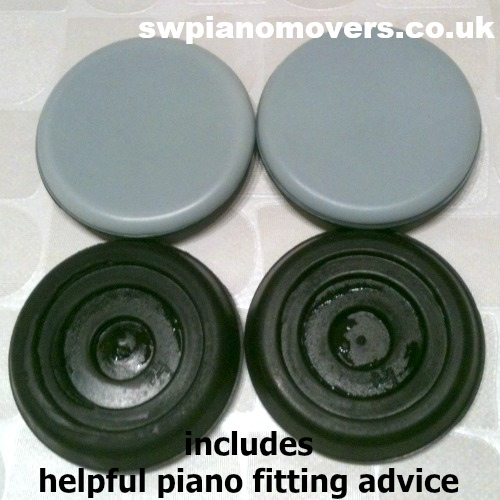 These are screwed to the base of the piano and extend out from the front or back giving both stability and mobility to the piano. 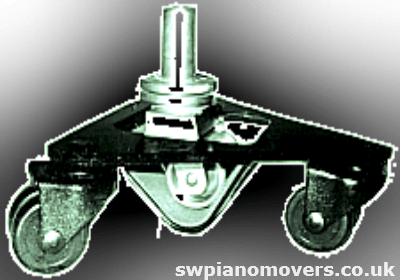 The castors will not mark floors, move smoothly and prevent small upright pianos from tipping over. 2) Grand piano trolley "A" frames and dollies. 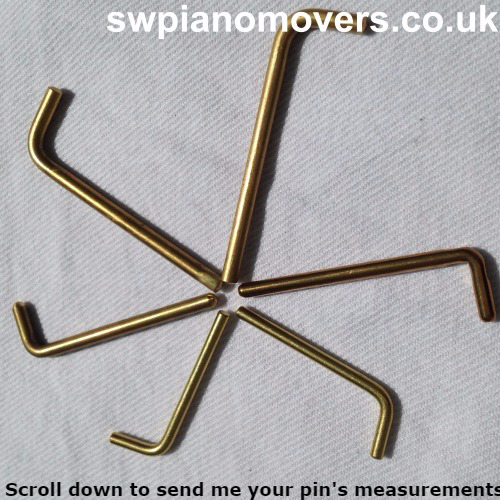 These allow pianos to be easily moved around a hall without stressing the legs or damaging the floor. 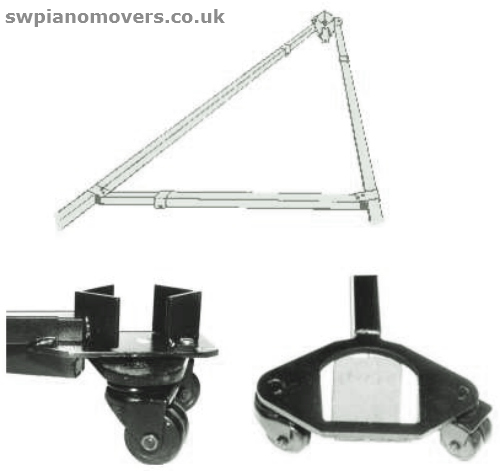 Trolley frames are available as standard or 'easy fit', which do not require the removal of the castors, but still maintain the same playing height of the piano (further images below). 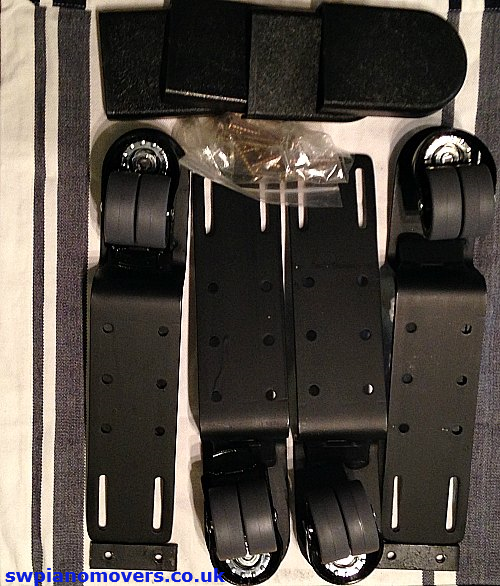 3) Replacement castors and castor cups. 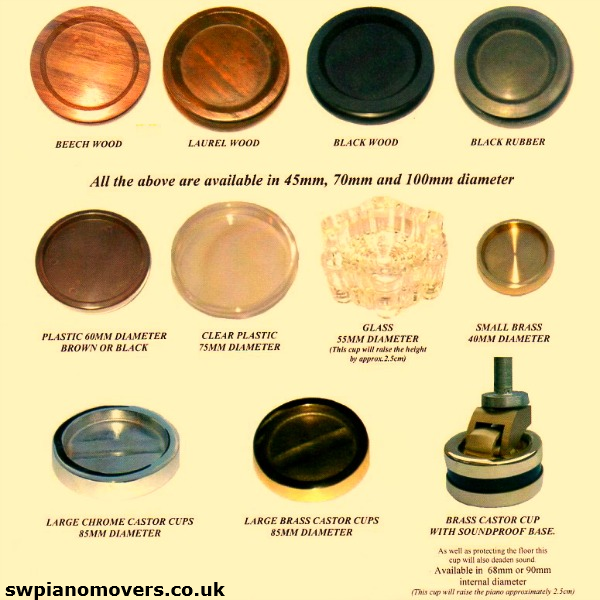 We provide a helpful advice sheet to assist you with safely raising the piano to fit castor cups yourself. If you cannot see the parts you require please call or submit a request for information using the form below. See also: Protect your floors with these gliding piano castor cups. Suggested method to measure hinge pins. 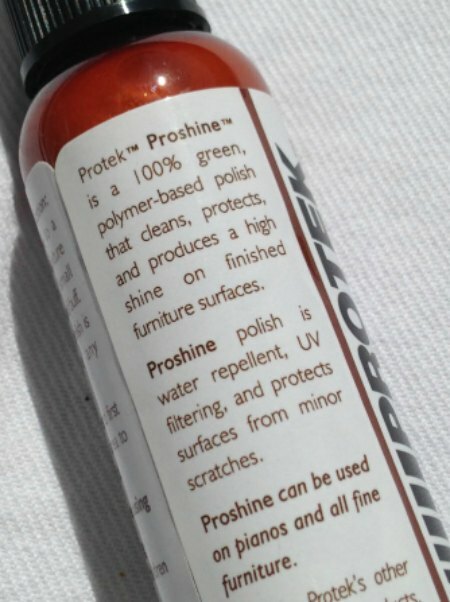 Label for Proshine protective piano polish.